Which is the better option for your home--a stair lift or a home elevator? Read this blog from K N Enterprises LLC for help in choosing between the two. K N Enterprises, a supplier of stair lifts and scooter lifts in Louisiana, explains the benefits of a stair lift. Learn how a stair lift can improve your life. Elevators in a home are vital for many elderly individuals, but they do require certain precautions. Here are some guidelines to use these features safely. Do you need to install a chair stairlift in your home for yourself or a family member? Learn more about your options and contact K N Enterprises today for info! The experts at K N Enterprises want to help you maintain your mobility and independence. Learn how elevator installation can make your home old-age friendly. Your scooter is to transport. If you aren’t sure how you can get your scooter around without help, check out these three reasons you need a scooter lift. Are you considering installing an elevator in your home? Read this blog from K N Enterprises LLC to learn about the 4 kinds of residential elevators available. Do you need a lift to get your electric scooter into your vehicle? Visit www.louisianastairlifts.com for more information on the variety of options available! 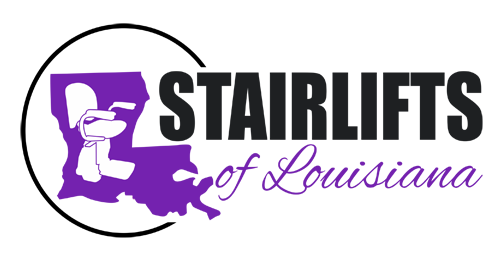 Stairlifts of Louisiana specializes in the installation of residential elevators for any multi-story home. Call the company for a consultation and estimate. Safety is a major concern for seniors who stay at home, especially when it comes to falls. K.N. Enterprises explains six ways to senior proof your home. Do you want to retain your mobility for as long as possible? This article from K N Enterprise LLC tells you how scooter lifts help you keep some independence. A home elevator used to be an extravagance. As time went on, it became an affordable, beneficial necessity. Here are several reasons why you should consider one. A residential elevator or lift can help those with mobility problems access their entire house. That is just one benefit, however. Here are other benefits. Mobility scooters give those who are mobility challenged a new way of overcoming their challenges. Today’s scooters are also pretty surprising. Here is how. The senior in your life is facing challenges across the board, especially in their home. Here is what you can do to make sure their home functions for them. Scooters help many who are physically challenged to get around. Transporting the scooters, however, has been a challenge itself. With these options, no more. Learn about many makes and models of custom-made stair and platform lifts, for straight or curved staircases. Visit K N Enterprises for free consultation. If you have mobility issues, you can enjoy a greater sense of freedom with vertical platform lifts. Here are three reasons why these lifts are right for you. It may seem like losing mobility around the house is just a part of getting older, but that’s not true. See how home wheelchair lifts can make all the difference. Transporting your scooter to and from your destination is easy with the help of a lift. With these tips from K N Enterprises, you’ll select the right model. Entrust Your Starlift Needs to Us! Whether you have trouble going up to the second floor of your house or just need a little assistance getting down a short flight of stairs, Stairlifts of Louisiana is the company to rely on. Our team of professional technicians is here to help you set up the best stairlift equipment. Call us today to schedule a service.